Dennis Sluder is a certified personal trainer through the National Academy of Sports Medicine (NASM) and a graduate of the National Personal Trainer Institute. Dennis began his fitness career leading physical training, (PT) while in the military. He is a member of the Army Corps of Engineers and is also a veteran of Operation Iraqi Freedom. Dennis has experience working with both adults and children and has worked with all ages – 2 to 90! 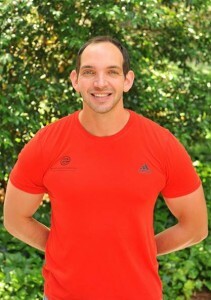 In addition to training, Dennis also volunteers as a children’s running group coach and teaches skills preschool fitness classes.